The moment you step inside, your child and you will realize that Downtown Play is a very different and special children’s activity center. Please remember to bring socks for your visit. Both the All-Star Athletics Club and the Cozy Corner are Sock Zones. Looking to schedule a birthday party? We make it easy! 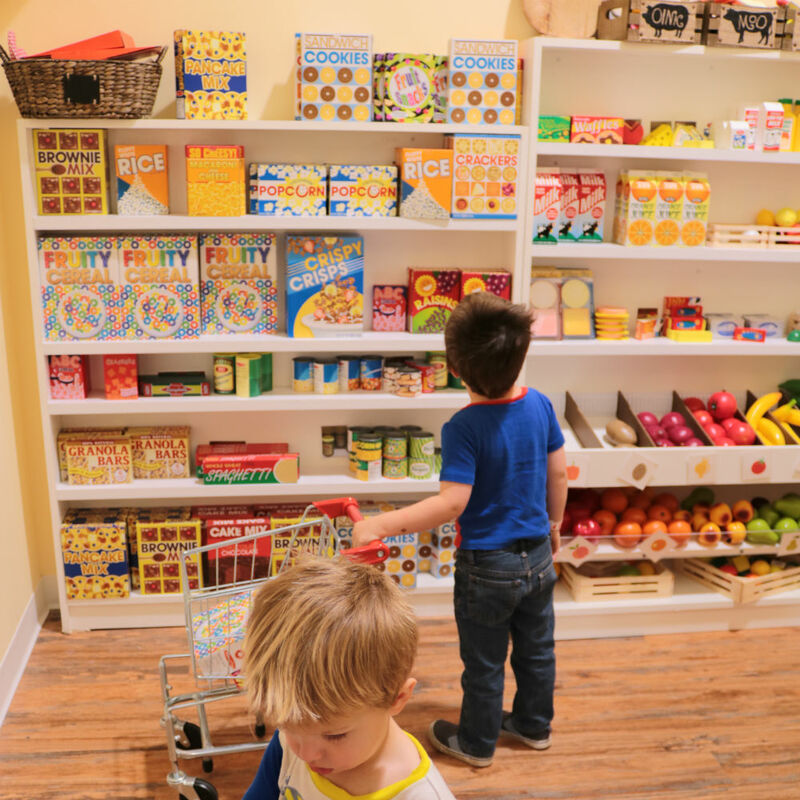 Share an extraordinary journey as your child explores and learns at Downtown Play, 10 delightful play stations inspired by leading children’s museums and New England Townscapes. With the freshest “play” produce, a drive-thru window and two checkout stands, the General Store is the best deal in town. Grab one of our shopping lists and learn to identify, sort and count over 100 different products. 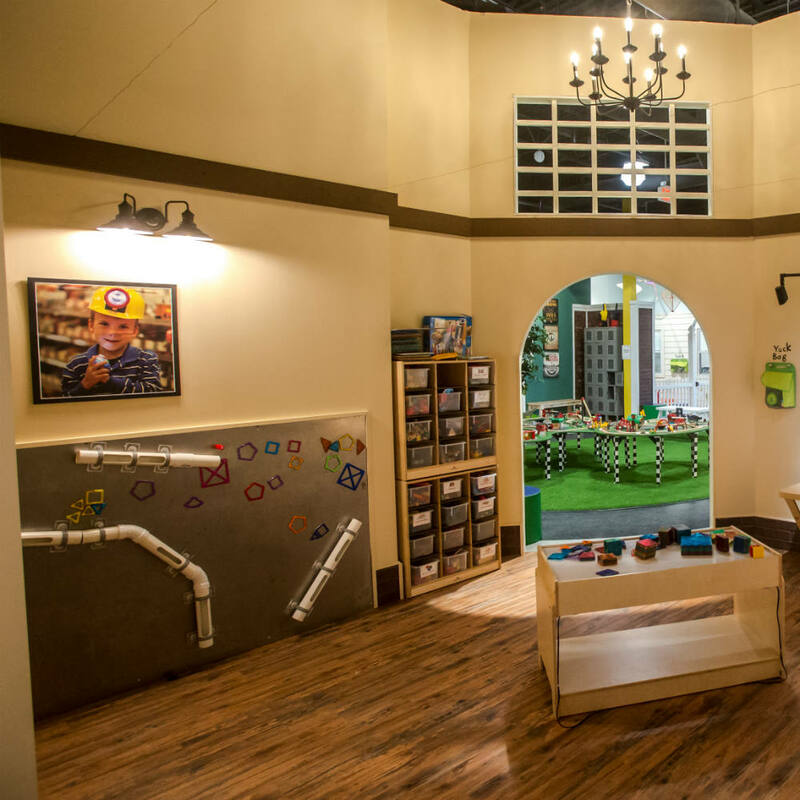 If your child loves to create, join us at Downtown Play's number one architecture firm and construction contractor. Explore dozens of construction materials, such as LEGO DUPLO, Magnatiles, Magformers, Tegu, and more! 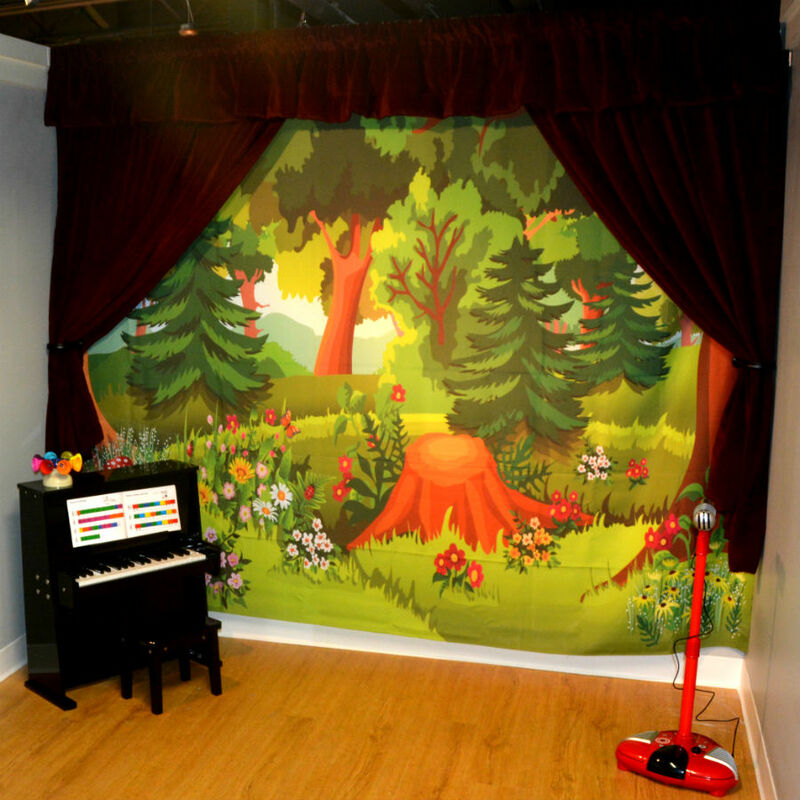 Grab an instrument and put on a show, or let your inner monologue fly in our upstairs stage just for little ones. Shakespeare or Rolling Stones? Either way - rock on! 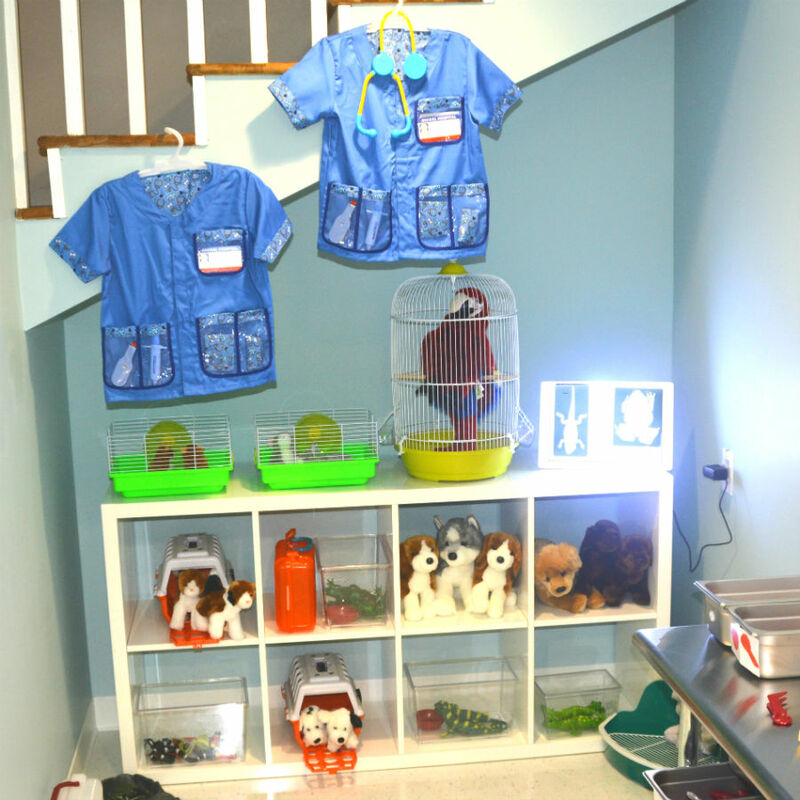 Downtown Play provides caregivers and infants their own safe space, called the Cozy Corner. Experiment with a reconfigurable crawling terrain, soft-padded flooring, a wall-length mirror and age-appropriate, developmental toys. 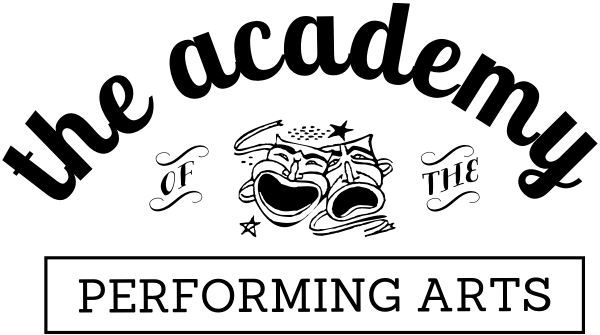 Join us to see all that Downtown Play has to offer!